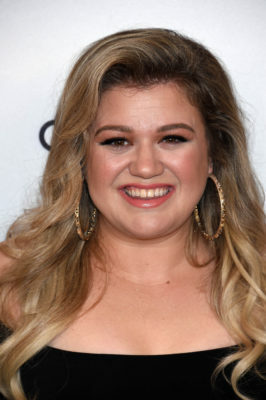 Kelly Clarkson is coming to The Voice a little earlier than expected. Deadline reports the future judge has joined the current season (13) of the NBC TV show as an adviser. As previously announced, Clarkson will served as a judge on the upcoming 14th season of the singing competition series. The new season, which is expected to debut in spring 2018, will also feature regular judges Adam Levine, Blake Shelton, and returning judge Alicia Keys. Clarkson will make her debut on this season of The Voice on October 30th. On the NBC series, she’ll serve as an adviser and a mentor to the remaining artists. What do you think? Do you watch The Voice? Are you excited to see Clarkson join the team? One criticism of the voice – during the blind auditions some singers are just given a 10-second blot. Obviously, these singers are going nowhere. The Voice needs to either: show EVERY singer or cut out those blots. They also do this during the knock-out rounds. Love the Voice and Kelly Clarkson!!! Love the show, I keep the tapes of finales, just watched the Season 8 finale in 2015. SAWYER FREDERICKS – Awesome! Kelly will be a great addition to the show. I think She will make a Great Judge.